Be confident in the results you deliver. Performance teams are essential to proper front office decision-making, regulatory compliance, building client trust, and ensuring the integrity of the investment management group. 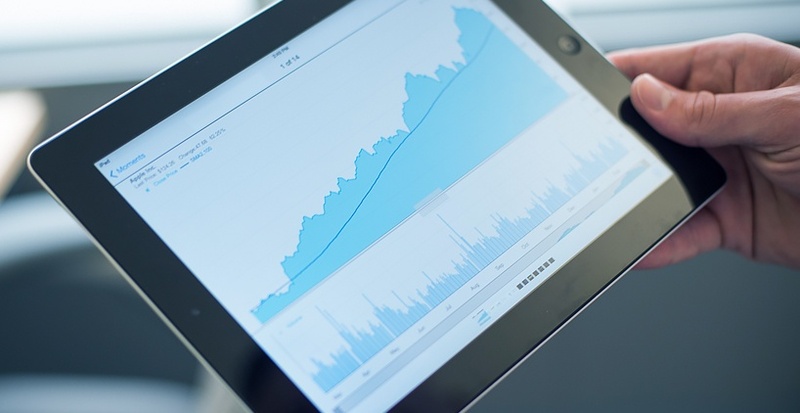 That’s why we’ve designed our solutions to give you insight into performance and attribution across your organization, so you can evaluate and enhance your investment strategies and better service clients while maintaining high levels of security, data management, transparency, process control, and operational scale. Integrate performance across the middle office. 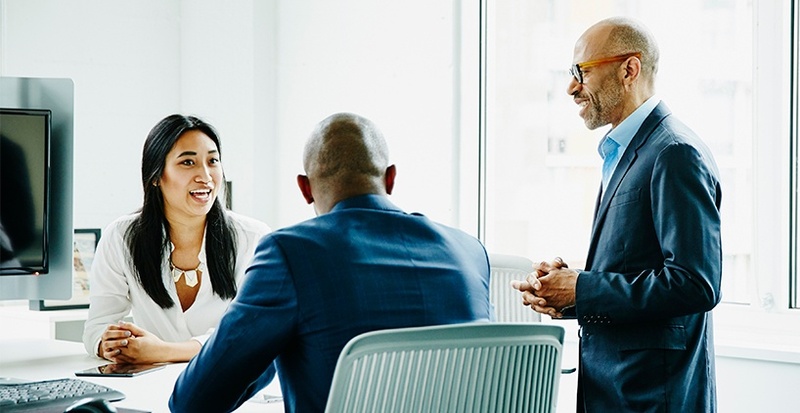 To succeed, middle office teams require not only best-in-class performance analytics, but portfolio and risk analysis, robust reporting, and seamless delivery of these analytics, both inside and outside the firm. 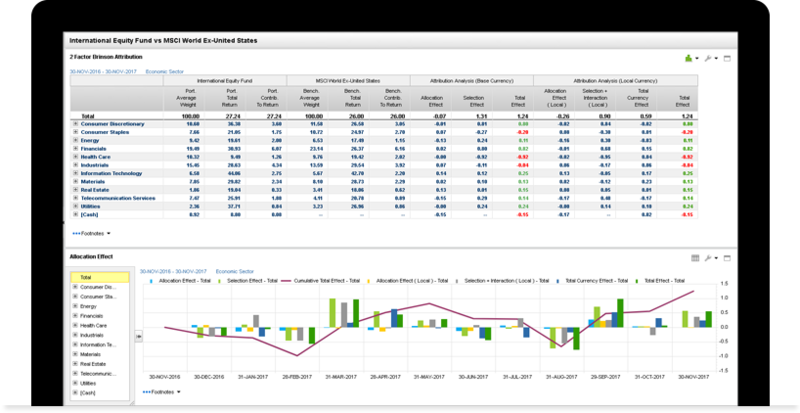 FactSet’s comprehensive, single platform embraces all steps in the lifecycle of the portfolio consistently across asset classes, so you can power your entire investment team with official performance with indicative capabilities. Our survey of global Heads of Performance reveals 10 things you need to build the performance team of the future. Get instant access to our guide. When it comes to performance, you know the only correct model is the one that reflects your own investment process. 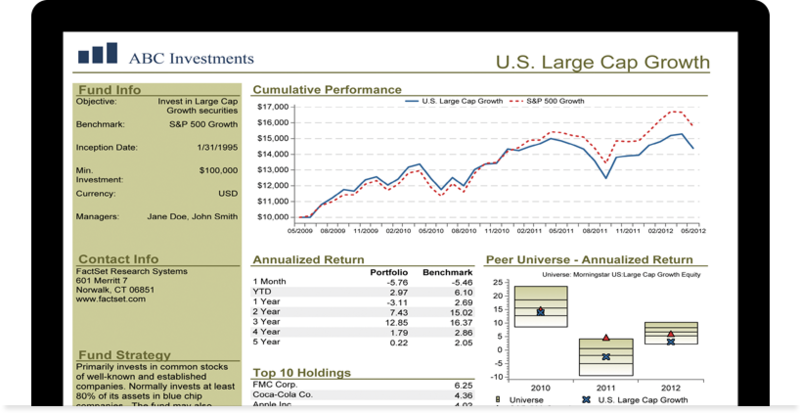 But as methods shift to new asset classes, behavioral strategies, and passive investing, finding and adjusting models gets more difficult. FactSet gives you the most advanced equity, multi-asset class, and fixed income attribution methodologies to audit and analyze standard and specific instruments, while adapting to any management processes, so you can count on accurate results. Improve your relationship with the front office. To meet the increasing demands of front office, you need always accessible, performance data, not just in static reports, but in on-demand portals, API feeds, and automated pitchbooks. FactSet's digital, consumer-led reporting delivery lets you spend more time finding answers for your front office and less time repeating processes that never make it out of email. 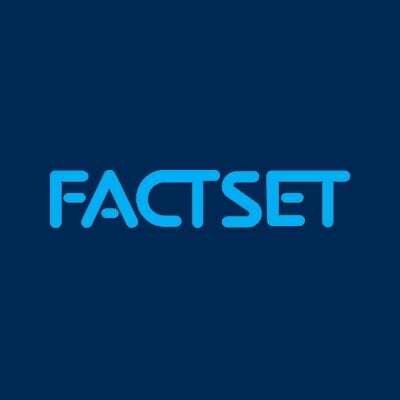 Let FactSet create a custom repository for you or let us simply provide the data, giving you full visibility into the consumption of your reports so you can focus on the processes that are most valuable, reducing data costs and time to market. Access and maintain data without increasing headcount. Keeping up with complex strategies means accessing more data and more types of data than ever before, even if growing your team isn’t part of the equation. 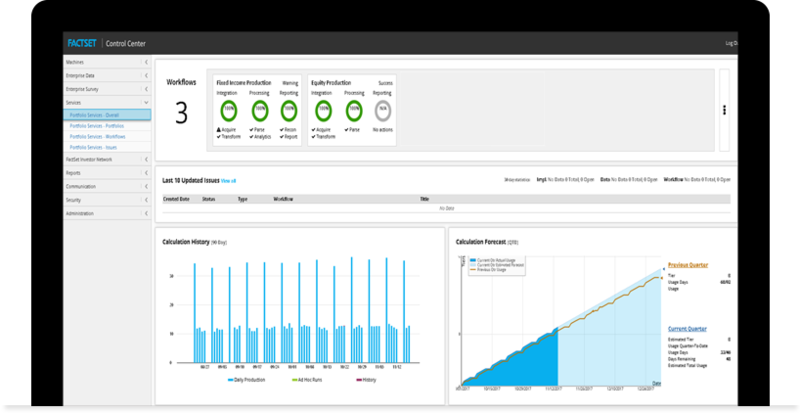 FactSet helps you lower your total cost of data ownership by consolidating your data delivery and integrating dozens of data types, from benchmarks to derivatives. 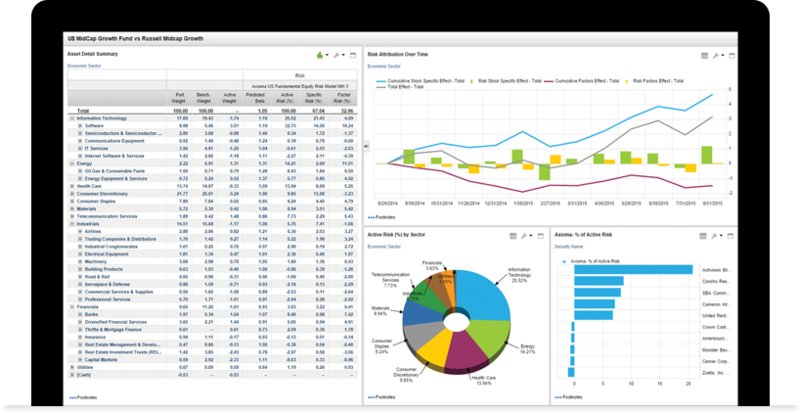 Our portfolio data management service allows you to scale your firm’s operations while minimizing the resource-intensive work of integrating, reconciling, and standardizing data across all parts of your enterprise. Modernize your workflow without sacrificing operations. Even while you’re feeling the pain of making do with legacy systems, it can be daunting to consider the disruption in data and performance that can come with moving to a new system. We’ve helped some of the world’s largest asset managers through the process, and we’ll partner with you to make the transition as smooth as possible, from integrating your security-level historical data to creating a centralized project management hub where you always have access to the latest status and deliverables. Choose the level of service that fits your business, from self-hosted systems to FactSet-hosted systems that manage the administration for you.